Outspoken. Tough. Emotional. Number Two Driver. It’s not hard to imagine who’s being described here. For some, Mark Webber is the boy from Down Under done good with a feel good outback to on-track story. For others Mark Webber is the nearly man, moaning and whingeing his way slowly to the front of the grid. Whichever side of the fence you sit doesn’t matter, now he’s retiring from Formula One he’s going to leave a unique space on the grid that will prove hard to fill. The news today that for Webber the current 2013 season will be his last in Formula One hasn’t been met with huge levels of surprise, naturally his fans are upset at the prospect of a Webber-less 2014, but for the most it was widely anticipated. The rumours about Porsche have circulated for some time but peaked after the debacle in Malaysia and the now infamous Multi 21 incident, at the time they were dismissed by both camps, and Webber was emphatic that the ball was in his court. Now it turns out he had placed his ball in a new court altogether, the court of the World Endurance Championship. More interestingly, it was ‘some time ago’ to quote the man himself. Who’s a happy boy then? Understandable considering that Webber has been an integral part of their success since 2007, although on the other hand Horner could be bitter from only getting a phone call from the departing driver at 9am this morning, a mere hour before Webber tweeted a statement on his own website. Webber played the nature of the announcement down, stating that Today is about Porsche and Mark Webber, and even the casual onlooker would have realised that this driver has never been afraid of being his own man and a cheeky pre-race weekend bombshell wasn’t a surprise. Formula One is losing a driver of undeniable skill, with the natural talent and desire to drive with his foot to the floor that all drivers need. But he had made it clear he’s become unhappy with the direction that the sport was taking, with regards to the tyres most specifically, being forced to drive conservatively was never in the game plan. A return to sportscars was in fact and as the day has unfolded Webber let slip he knew at the beginning of the season where his future lay. 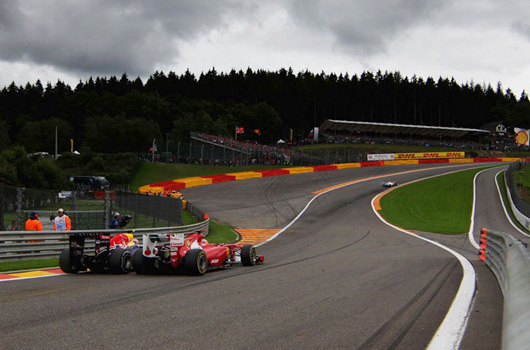 From a personal viewpoint being a Webber fan has never been easy, but it has been rewarding; from the fifth place with Minardi in his debut at home, to the first win right through to the breathtaking pass on Alonso at Spa and beyond. It would be easy to blame Vettel in this and their perceived vitriolic relationship, but it would diminish Webber as a sportsman to do that, he’s proven time and time again he’s a man of his own mind and apart from a few unexpected flights he’s also been in control of his own destiny. The only thing Vettel can be blamed for, if at all, is bad timing, as when Webber finally got his hands on a competitive car the Marko backed racer was right there too. Now without a commitment to Red Bull Racing (although he will continue to be sponsored by the brand) Vettel must be wondering exactly how much help he will be getting to clinch his fourth consecutive title. His mind must be reeling back to Brazil 2012 as we speak. Racer. Gentleman. Bloody good bloke. I understand that you are a Webber fan, but don´t you think that saying that Vettel is just a “Marko backed racer was right there too” is a desmissed of what both Webber and Vettel have made. You don´t win 29 races and get a record on pole positions just by having Marko´s support. 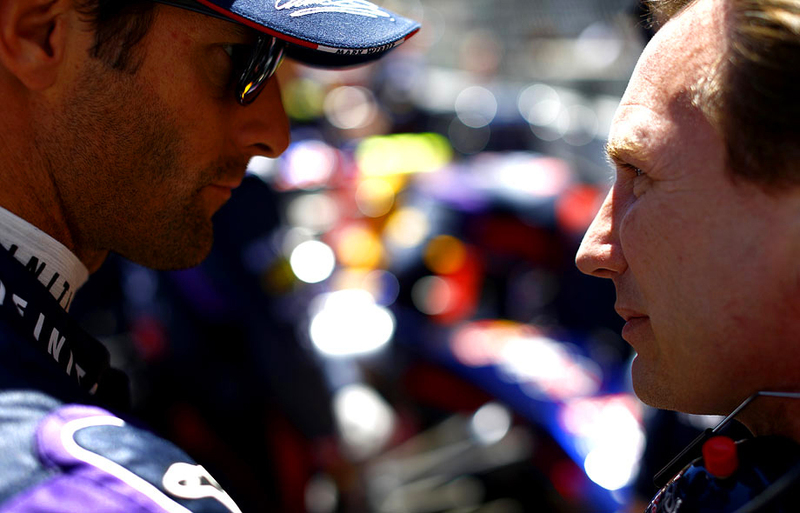 Marko backed, perhaps championed would be a better term for him as he was a major player in bringing Vettel into the Red Bull family. But Vettel is a phenomenal talent, I’ve never said otherwise, just not in this piece.